One of the most up-and-coming trends on the interior design scene today is the use of mixed metals in appliances and home décor. The mixed metal trend has seen increasing popularity over the last few months, and is expected to make an even bigger impact on the design world in the 2016 year. Interior designer and specialist Christine Donner from Christine Donner Kitchen Design, Inc. spoke with EuroChef USA about her experiences, as well as the aesthetic value of using mixed metals in kitchen designs. 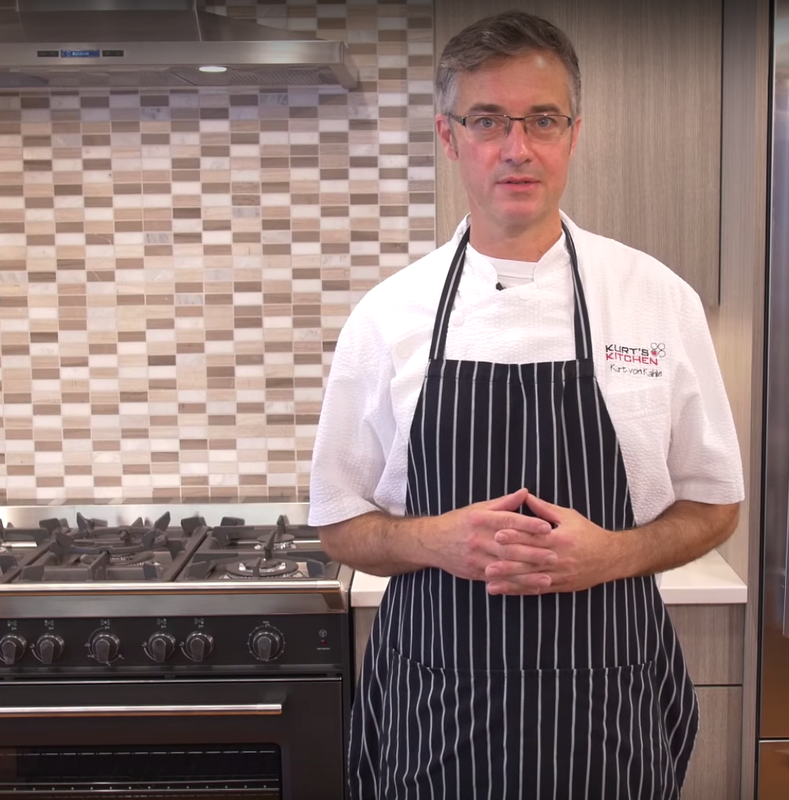 EuroChef USA: Could you explain what the mixed metal trend is, and what colors are often seen? Christina Donner: The mixed metal trend adds a layer of interest and dimension to a room. Combining silver and gold, or chrome and brass, or adding oiled rubbed bronze to existing fixtures will make your kitchen livelier. Clients often get hung up on choosing one metal for their kitchen – either brushed or polished– like everything should match. 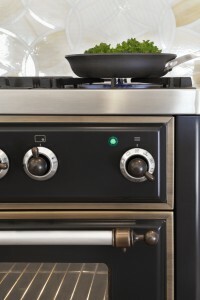 But appliances are always a combination of brushed and polished, that element is already in the room. With the new popularity of brushed brass, clients want that look too, but you can’t get an oven in brass – so we find ourselves going with a combination of metals. Relax and pick what you like — just be sure to tell your designer so she makes sure it all works. EC: How long have you been working with mixed metal designs? Is this a fairly new concept? CD: For several years, metal trends in jewelry design have been edging towards yellow gold again. And now you commonly see bracelets and the like with both yellow and white gold, as well as, rose gold. Interpreting this trend into home interiors is fairly new. It is common for fashion design to be a year or two ahead of interior design. EC: What do you think has led to the recent popularity of mixed metals? CD: Home design trends now are increasingly eclectic, and in some cases a bit wild with color and patterns. I think this trend frees people up to mix and match without worry. By mixing metals, a homeowner can easily update their existing interiors without changing everything. It does lend a fresher look. CD: This can be a universal trend spanning styles, and color palettes. There is a look now for a traditionally designed home to be furnished with very contemporary pieces, and some wild light fixture or art. I think the mixed metal trend is very much a part of that look right now. CD: We chose to make the cabinets a very pure white, to brighten the space and not add any other color elements to the mix. The quartzite countertops are very beautiful, Dolce Vita, a blend of white and grays and soft creamy tones. That seemed to pull the mixed metals together. EC: The Branford Kitchen (images shown within this post) is absolutely beautiful, could you give us some backstory on the design? CD: This was a maple stain contractor grade kitchen with an island that dominated the space. The kitchen is toward the back of the house, as the living room faces the water. It was dark and crowded. Our task was to bring order and lightness to the space. The room now feels about twice as large, and twice as bright. We knew the range needed to go on the back wall, directly in the site line from the living room. It needed to be something eye-catching, but it also had work to do. We were concerned with making this kitchen work, with a defined food prep and cooking zone near the range, and a clean up zone nearer the front. 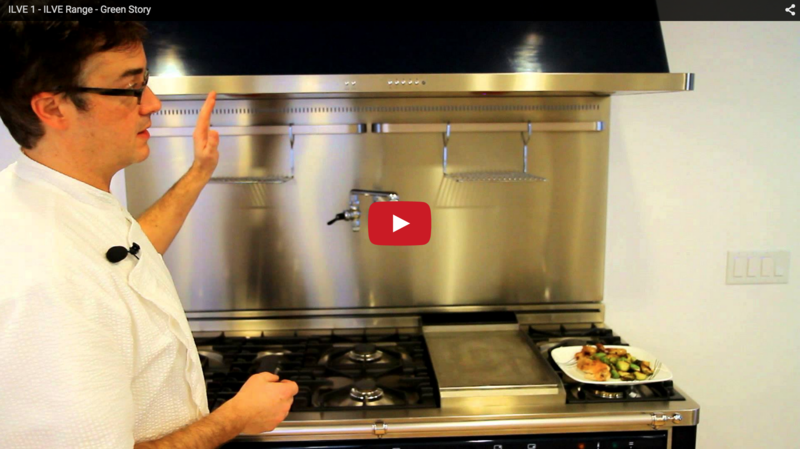 EC: Why did you choose an ILVE in your kitchen design? 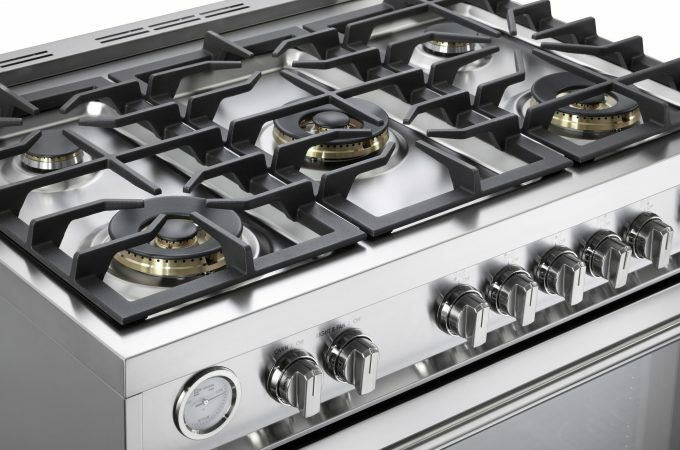 CD: The homeowner chose an ILVE not only for its quality, but also because it is a beautiful looking range that certainly draws attention to itself. We were given a finish sample kit and we played around with it, covering some knobs with tin foil to achieve the mixed metal look we wanted. By mixing metal finishes, the homeowner feels the ILVE is the anchor in the room, from which other design elements were pulled. Kitchen designed by Christine Donner. Images by MaryEllen Hendricks. ILVE, known for their handcrafted Italian appliances, has been selected as a winner in the 2015 Interiors & Sources Readers’ Choice Awards in the Best of Kitchen & Bath Category for the ILVE Majestic Range. For the first time in 7 years, voting was done via Facebook “likes” to tally the favorites. 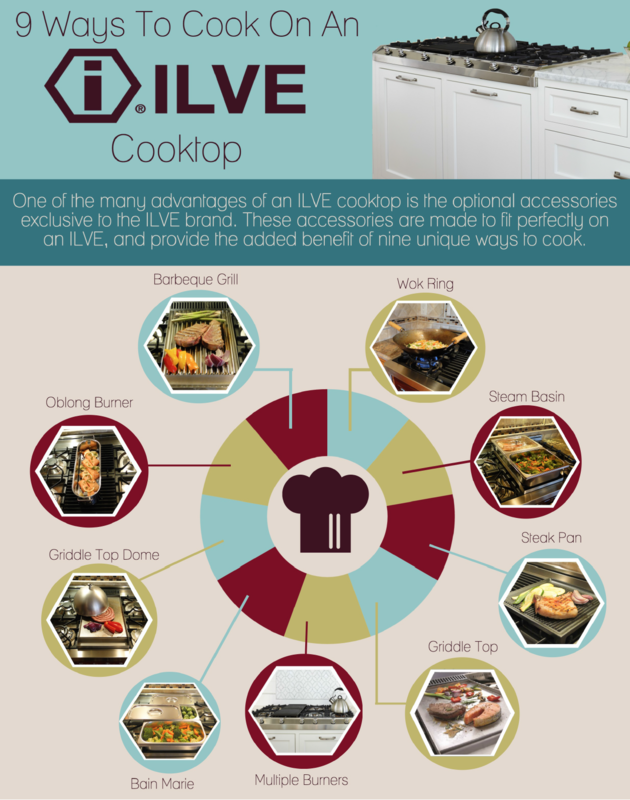 ILVE’s Majestic line of ranges is available in both dual fuel and gas only. 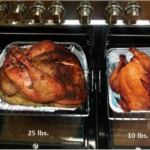 The ranges are offered in five standard American sizes including 60”, 48”, 40”, 36”, 30” with both single and double oven options available. The line is fully customizable with seven standard colors, 213 Classic Colors, three trim options and four leg options allowing for a wide range of choices for personalization. Additionally, ILVE Majestic Ranges are equipped with green energy features such as an EU “A” green energy rating, triple-pane glass doors for better heat insulation, and an 8-minute electric oven preheat. In the 7th Annual Interior & Sources Reader’s Choice Awards, dedicated readers and industry specialists voted for the latest and greatest products in the interior design industry. The voting took place during a two-week voting period in November via a Facebook vote, and winners were announced in the December issue of the magazine. 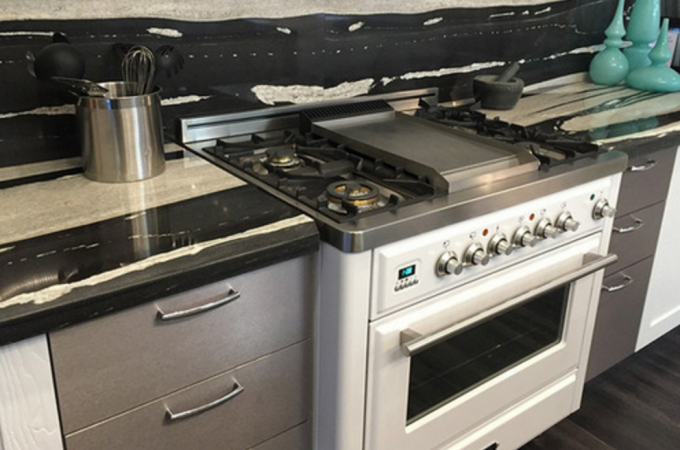 ILVE Appliances has helped aid the beautiful renovation of a 90-year-old distressed bungalow into an elegant, yet contemporary home for an avid art collector and professional photographer. 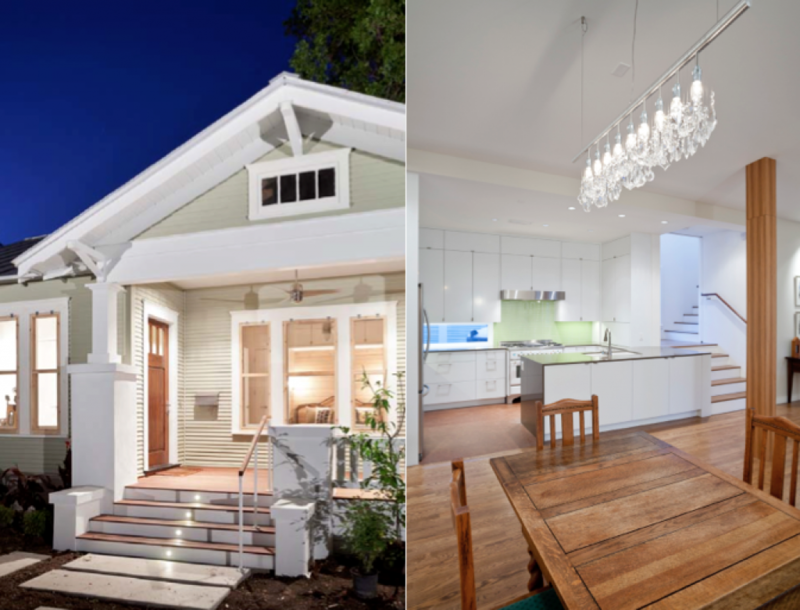 Clark | Richardson Architects led the project in 2013, which was located in the Hyde Park neighborhood of Austin, Texas. The goal of the renovation was to maintain some of the historical external features of the home, while extending the floor plan and reinventing the interior. The completed renovation was awarded an Austin Energy Green Building 5-Star Certification. The client chose to include a beautiful 40” ILVE Majestic double oven range in true white with chrome legs, handles and knobs. 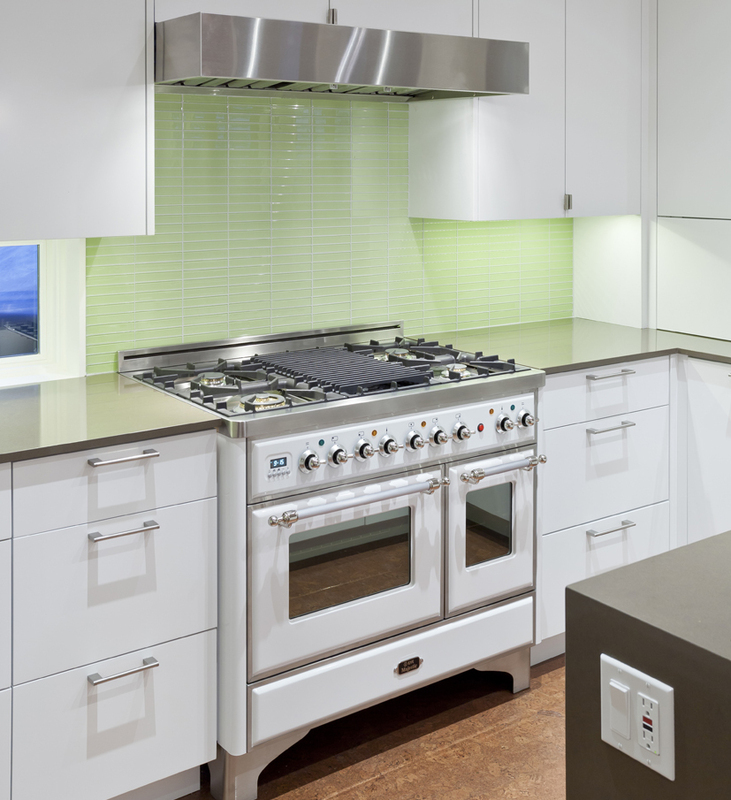 The white color of the range was beautifully accented by a light green back splash for an even more contemporary twist. The client chose to go with an ILVE appliance after she happened to sit next to a EuroChef representative on a flight for vacation. Thank you, Clark | Richardson Architects for sharing your beautiful ILVE project with us. 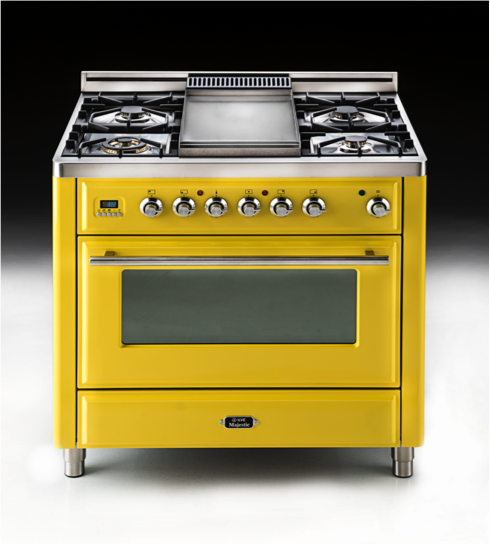 ILVE’s RAL Custom Color Program is in the voting round for the 2015 Interior Design Magazine Best of Year (BOY) Awards in the Kitchen Appliances category! The BOY Awards are voted upon by architects and designers to recognize exceptional products that were introduced to the market between September 2014 and August 2015. During a two week period spanning from October 5th to the 16th, architects and designers can vote for ILVE by clicking here. Finalists will be announced this November, and the winners will be selected by Interior Design Magazine Editor in Chief Cindy Allen and a jury of design leaders, and announced live on December 3, 2015 in New York City. ILVE’s RAL Custom Color Program, launched this August, is available for both the Majestic and Nostalgie and features ranges and hoods available in 213 RAL Classic colors. Both series are available in standard colors (7 for Majestic and 8 for Nostalgie), and with the new Custom Color Program over 220 colors are available resulting in more personalized options than ever before. 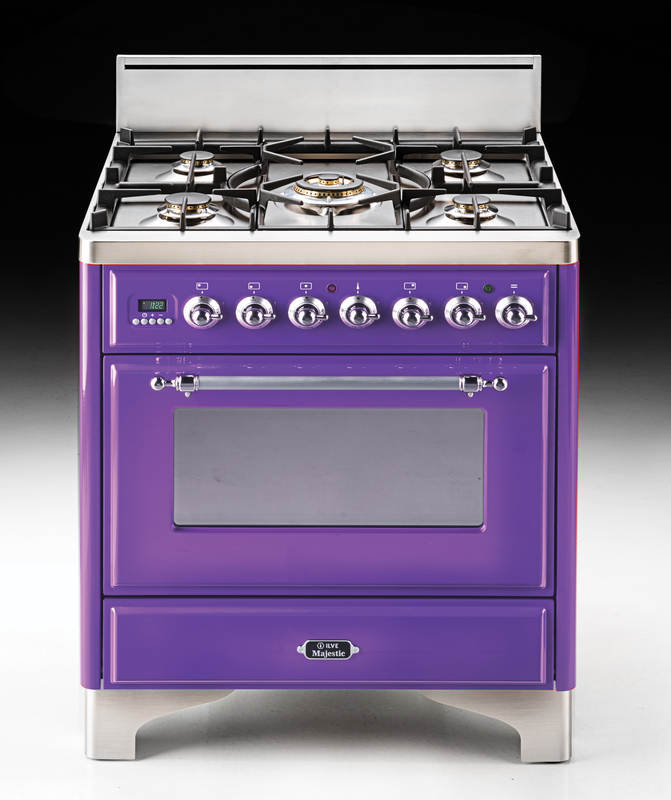 EDGEWOOD, NEW YORK – September, 2015 – ILVE, known for handmade custom Italian appliances, launches a Custom Color Program for ranges and hoods available in 213 RAL Classic colors. The Custom Color Program is available for both ILVE collections, the Majestic and Nostalgie. Both series are available in standard colors (7 for Majestic and 8 for Nostalgie), and with the new Custom Color Program over 220 colors are available resulting in more personalized options than ever before. ILVE ranges are available in six standard American sizes, 60”, 48”, 40”, 36”, 30”, and a perfect city-sized 24” option in the Nostalgie line. 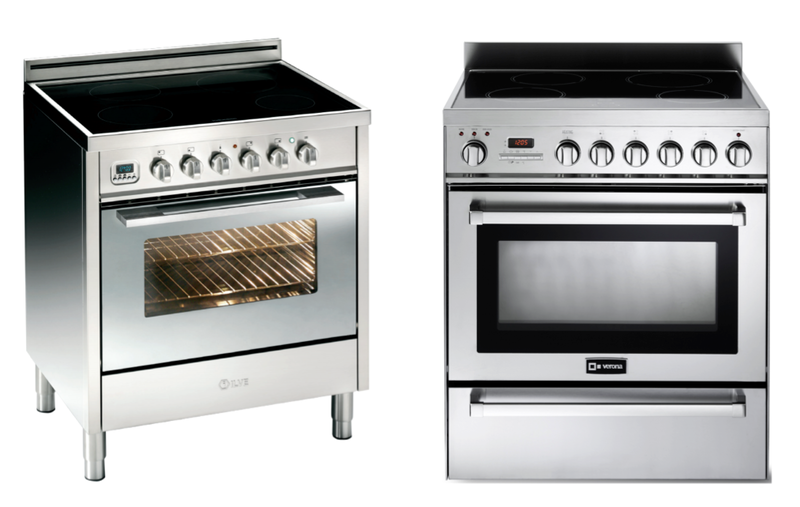 Both single and double oven options are available, as well as dual fuel and all gas connection choices. • RAL Custom Color upcharge is $1999 UMRP on top of the stainless steel price for ranges, and an upcharge of $899 UMRP on top of the stainless steel price for hoods.